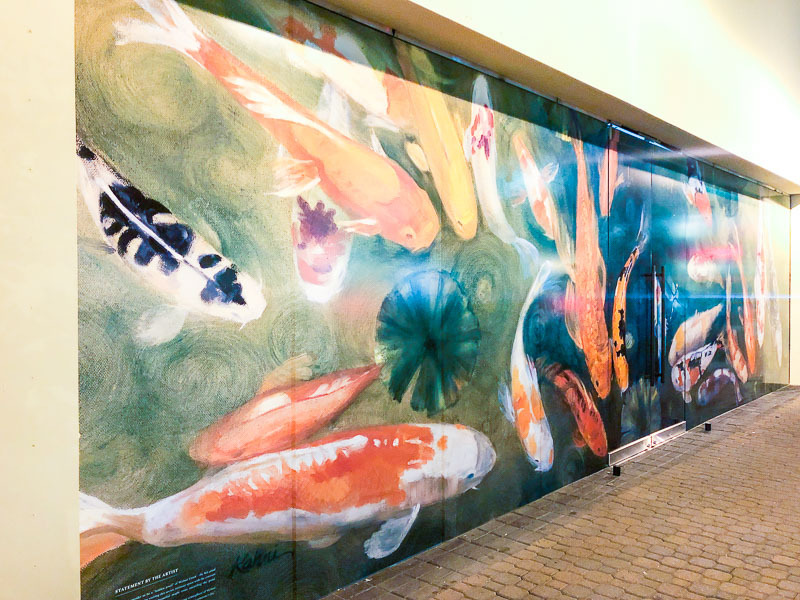 Thanks to a reader for pointing out that a new mural of koi fish has appeared on the old Apple store location in downtown Walnut Creek. If you walk around the corner and down towards the outdoor Va de Vi patio behind the giant oak tree you’ll be able to view a really cool koi pond built by the developer. There are also a few turtles waddling around the pond. 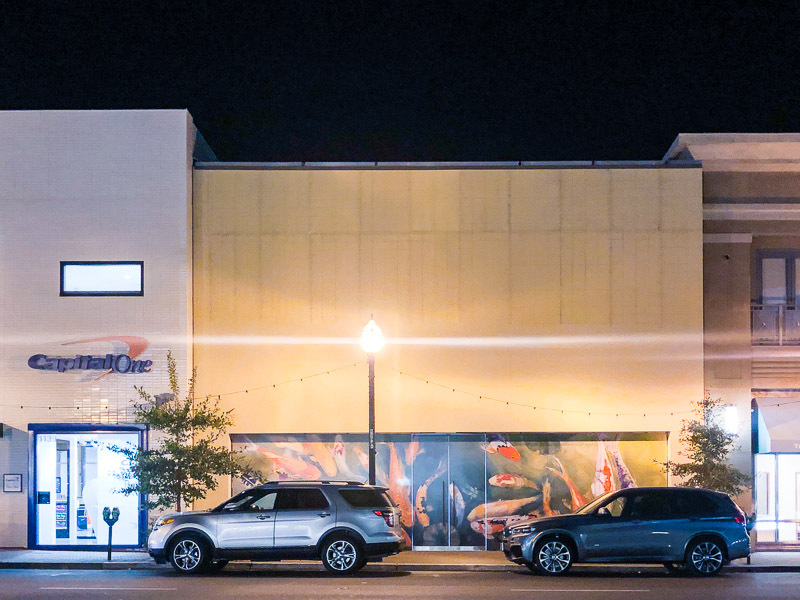 If you haven’t visited before, the next time you’re in downtown Walnut Creek be sure to check it out! This painting was inspired by what I consider to be a “hidden jewel” of Walnut Creek – the Koi pond behind Va de Vi. My grandson and I frequently enjoy visiting this secret, intimate space with the constant ongoing mini-drama of the colorful koi, waterfall and beautiful maple trees encircling the pond. I am so very grateful to add my own special “something” to the exciting, inviting atmosphere of Walnut Creek. It is very satisfying to me knowing that my artwork for this storefront might brighten someone’s day.